School of Mechanical Engineering, Shandong University of Technology, Zibo 255049, China. 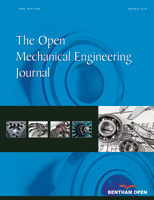 In this study, error compensation technology was proposed to reduce thermal errors of a gear hobbing machine, and one experiment was carried out to verify the compensation effect. Different thermal sources were used as modeling variables, and a prediction model of thermal errors was presented based on back propagation (BP) neural networks. In order to solve local minimum problem of BP neural networks, ant colony algorithm was used for training its link weights. Finally, one test system was developed based on the presented model, and an experiment was fulfilled. The result shows that prediction performance of the model is very well, and the residual error is less than 5 μm after compensation.